On Saturday 29th September 2012, Northern Ireland mountain running enthusiasts travelled to Kilbroney Forest Park for the second running of ‘The Fallows’ Mountain/Trail race. Using tracks and paths in Kilbroney Forest Park, Ballyedmond Wood and the excellent mountain terrain surrounding the forest, this race is perfect for endurance runners wishing to try something ‘off-road’. The course covered approximately 10 miles, with 800 metres of climbing. Ballymena Runners’ Jonny Steede, a real talent over all terrains produced an excellent performance to secure 1st place, in an excellent 1:15:26, just ahead of recent international Andrew Annett (Mourne Runners) who clocked 1:15:59. North Balfast Harriers’ Neil Carty took 3rd place, crossing the line in 1:18:47. In the ladies race, there was a disappointing turnout, with only two women taking on the ten mile course. One of those was experienced mountain runner and international athlete, Shileen O’Kane. Some may have settled for an easy run, knowing that a podium finish was assured, not Shileen. The dedicated and hard-working Lagan Valley lady ran well, finishing in 1st place with a time of 1:30:52. Violet Linton (Lagan Valley Orienteers) also ran a good race, taking 2nd place in 1:53:03. Top 3 Men: 1st Jonny Steede (Ballymena Runners) – 1:15:26, 2nd Andrew Annett (Mourne Runners) –1:15:59, 3rd Neil Carty (North Belfast Harriers) – 1:18:47. Autumn marathons underway: Northern Ireland runners perform well! The infamous Berlin Marathon in Germany was top choice. Boasting a flat, fast course and the current world record of 2:03:38, achieved by Patrick Makau of Kenya in 2011, it is fast becoming one of the world’s most popular marathons. This year there were approximately 40,000 participants, with Geoffrey Mutai (2:04:15) and Aberu Kebede (2:20:30) winning their respective races. Amongst the front runners was well known City of Derry athlete Greg Roberts, who ran exceptionally well, crossing the line in 2:26:05. Although not a personal best, Greg wiped an impressive 3:27 off his Dublin Marathon time from last year. Larne AC’s Ryan Stewart, competing at marathon distance for the first time completed the 26.2 mile course in 2:53:40. North Down AC’s Dennis Scott will be forgiven for missing his clubs own race after running 2:55:14, while ever consistent Greg Mc Clure (North Belfast Harriers) secured an excellent 3:05:02. Unattached runner, Ryan Landy achieved an excellent personal best of 3:15:55, just ahead of Seapark AC duo Andrew Stevenson (3:19:36) and Stanley Porter (3:24:18). Martin Donaghy (Sperrin Harriers) clocked 3:39:03, just ahead of Andrew Mac Kenzie (3:39:24) of Orangegrove AC. Up and Runners member Angus Mc Cready finished in 3:49:47. Nicola Mathers, led a team of Murlough AC members home in 4:33:38, with Anne Mc Alarney (4:44:58), Jill Murphy (4:44:59) and Paula Mc Kibbin (4:44:58) crossing the line together before Susan Lenaghan (5:47:11) completed the strong Murlough showing. Colm Gallagher, from Sperrin Harriers completed the Warsaw Marathon in an impressive 3:15:41. The men’s race was won by James Mutua in 2:15:02 with Agnieszka Ciolek (2:34:15) taking the female title. A little closer to home, but just an impressive was the Loch Ness Marathon, Scotland. Well known for its stunning scenery, this race always attracts Northern Ireland’s endurance enthusiasts. This year no less than seven East Antrim Harriers took part. However, it was Murlough AC’s Donna McCusker who led the Northern Ireland runners home in 3:28:48. Eddie Blayney earned the ‘bragging rights’ at East Antrim though, completing the tough course in 3:34:32, Jennifer Ashby ran an impressive 3:40:08. Andrew Knox was next home in 3:52:47, just ahead of club mate Penny Duncan-Lindsay (3:53:43). Amanda Peoples broke the four hour barrier, clocking 3:57:22 while long serving club member Wes Wallace crossed the line in 4:26:31. Bobby O’Toole, having only recently returned to running after a long lay-off ran a strong and determined race, finishing in 4:47:25. The race was won by Ross Houston (2:20:24) and Avril Mason (2:54:54). NiRunning would like to congratulate all runners who competed this weekend, although we try tirelessly to include everyone in our reports I am sure you understand that sometimes it is impossible to identify everyone while trawling through thousands of names, especially if people do not register under a club name. However, if you or someone you know has completed any of the above races, please feel free to let us know and we’ll happily add to the report. The second annual running of the Glenn 10k Road Race took place on Sunday 30th September 2012. Participants enjoyed a scenic course, covering the roads around Glenn, Lurganare and Dromantine. Unattached athlete Brian Young led the field of 120 runners home, taking 1st place in 36:56. Saul Running Club’s Gary Fearon (37:15) finished in 2nd place, ahead of Seamus Lynch (37:39) in 3rd place. In the ladies race, Ciara Coffey, who has placed well in recent races secured victory on this occasion. She covered the 6.2 mile route in 42:01, well ahead of Roisin O’Hare (45:55) and Michaela Downey (47:08) who finished in 2nd and 3rd place respectively. On Saturday 29th September 2012 the ‘Aurora Bangor 10k’, sponsored by North Down Council and organised in conjunction with North Down AC celebrated a huge increase in entries, with nearly 35% extra participants than last year. A possible reason for the surge of late entries may have been down to the rumoured meeting of arguably Northern Ireland’s two best distance runners, former Irish Half Marathon Champion Joe McAlister (St Malachy’s AC) and Paul Pollock (Annadale Striders), the current Irish Half Marathon champion. With Gladys Ganiel O’Neill (North Belfast Harriers) making a welcome return from injury in the ladies race, which already included pre-entered local ladies Jessica Craig and Julie Balmer, things were always going to be exciting. As the horn sounded McAlister and Pollock showed their intent, immediately surging clear of the field. By the time they had reached half way, Paul Pollock (15:02) had just broken clear of Joe McAlister (15:07), with North Belfast Harriers’ Alan O’Hara (16:04) and North Down AC’s Michael Dyer (16:04) nearly a minute behind. Brendan Teer (East Down AC) and Stephen Rooney (St Malachy’s AC) followed in 16:12 and 16:16 respectively. Gladys Ganiel O’Neill (17:41) led North Down AC’s Jessica Craig (18:35) and Julie Balmer (18:58) into the final 5k, with all three looking comfortable. As the crowds scurried into Ward Park to watch the finale, positions were changing out on the course. Paul Pollock had increased his lead over Joe McAlister, while Brendan Teer had closed the gap and caught the chasing group of Alan O’Hara and Michael Dyer. Paul Pollock was the first to receive a warm welcome from the awaiting crowds as he finished strongly, claiming 1st place in 30:19, an impressive time considering the blustery conditions. Joe McAlister (31:39) took 2nd place with Brendan Teer (33:02) just edging Alan O’Hara (33:07) to 3rd place, after overtaking him as the pair entered the park. In the ladies race, the second half played out exactly as the first half did, with Gladys holding onto top spot, crossing the line in 36:49, a tired but happy Jessica Craig (38:39) continued her recent good form, taking 2nd place, while birthday girl Julie Balmer secured an excellent 3rd place in 39:36. In the team prizes, the always impressive St Malachy’s men took 1st prize, while the similarly consistent North Down ladies enjoyed another successful outing (having won in Laganside), taking 1st place. After the race, race director David Seaton (North Down AC) expressed his delight at the large turnout and extended his thanks to race sponsors for their contribution to such a successful event. Top 3 Ladies: 1st Gladys Ganiel O’Neill (North Belfast Harriers) – 36:49, 2nd Jessica Craig (North Down AC) –38:39, 3rd Julie Balmer (North Down AC) – 39:36. Full results: Bangor 10k 2012 Results We will also be adding a full ‘Race Review’ and pictures on Monday (1st October 2012). On Saturday 29th September 2012, well over one hundred runners took part in the third running of the Drumragh 10k road race, which took place on the roads around Clonabogan, County Tyrone. The annual event is popular with local runners and has been added to this year’s nine race ‘run west’ series. On a course set by talented local athlete Stephen Duncan (Omagh Harriers), it was fitting that he should retain his title, running an impressive but at times almost reserved race, he crossed the line in 33:21 to take 1st place. His Omagh Harriers club mate, Paul Barbour (35:46) took 2nd place with unattached athlete Eoin Mullan (37:27) in 3rd place. In the ladies race, Patricia O’Hagan (St Peters AC) celebrated 1st place, breaking the tape in 40:26. City of Derry’s Anne Paul (41:06) was 2nd, with Monaghan athlete Donna Evans (41:16) in 3rd place. The very popular 26extreme organised Causeway Coast events took place on Saturday 29th September 2012, with distances including; 10k, Half Marathon, Marathon and Ultra Marathon (39miles) to choose from, there was something for everyone. Despite various other high profile events taking place on the same day, organisers welcomed record numbers to the Portbalintrae Village Hall for registration. Race day kicked off at 7.15am, when the Ultra Runners began their tough event in wet and windy conditions on Portstewart strand. The Marathon runners set off from Portbalintrae at 9.30am, Half Marathoners from Larrybone Head at 12.30pm, with the 10k runners completing the events at 2.30pm when they left Portmoon. All events finished in Portbalintrae where runners enjoyed the usual well put together finish area. In the Ultra event, Barry Murray took the honours this year, crossing the line in 5:48:55. Billy Reed (6:07:33) having ran well in the Mourne’s recently took 2nd place while Newry City Runners endurance specialist Dale Mathers claimed yet another podium finish, taking 3rd place in 6:09:56. Aisling Coppinger produced an impressive display to take victory in the ladies race, breaking the tape in 6:34:58 ahead of Helena Dornan (6:37:53) and recent UTMB (CCC race) competitor Hannah Shields (6:50:54) who finished in 2nd and 3rd place respectively. Great to see Hannah racing again after a heavy fall at the UTMB race. The marathon proved to be just as exciting, with a mere thirteen minutes separating the top three men; Cyrille Joilt (1st pace – 3:47:32), Jonathon Canning (2nd place – 3:53:07) and Dominic Conway (3rd place – 4:00:36). Joanne Curran took the ladies marathon title, clocking 4:18:51 for the tough 26.2 mile course. While Sue Sleath (4:23:04) ran well to secure a well-deserved 2nd place, with unattached athlete and NiRunning friend Tara Malone took 2nd place in 4:35:23, just ahead of Denise Mathers (Newry City Runners). North Belfast Harriers’ Martin Rea again showed he is returning to his best, taking 1st place in the Half Marathon, crossing the line in 1:40:46 after a battle with Seapark AC’s David Gamble (2nd place – 1:41:46) and early race leader from Larne AC, Phelim Mc Allister (1:42:11) who finished in 3rd place. Popular Sperrin Harrier Karen Alexander finished 1st in the ladies Half Marathon, breaking the tape in 1:43:53, beating in-form Lagan Valley runner Julie Murphy (1:58:36) who finished in 2nd place, just ahead of Anne Bonner who clocked 1:59:47. Although enjoying the shortest race of the day the 10k runners worked just as hard, tackling the 6.2 mile route at a relentless pace. 26extreme regular Lochlainn Connolly took 1st place in 41:11, with Kevin Egan (41:38) in 2nd place. Alan Ritchie (North Belfast Harriers) finished in 3rd place, covering the distance in 42:37. Caira Toner won the ladies 10k race in 49:09, ahead of Bernadette O’Kane (54:33) who finished in 2nd place. Liz Stewart (57:58) enjoyed the excellent event, taking the final podium place after finishing 3rd. This Saturday, the 29th September Northern Ireland runners have an abundance of races to choose from, covering different distances and terrains. A popular choice for the road running enthusiasts will be the Bangor 10k, a well organised event now sponsored by ‘Aurora’. With autumn marathons approaching, those preparing to compete at the 26.2 mile distance will be looking to add some speed to their rising mileage, so this well timed 10k event will surely attract quite a few. One of those will more than likely be previous winner Joe Mc Alister (St Malachy’s AC), who is currently training for the Dublin Marathon in October. Having won this race for the last three years Joe will be looking to defend his title and will be hot favourite following his success at the Dublin Half Marathon two weeks ago. He may face strong opposition from Irish Half Marathon Champion Paul Pollock (Annadale Striders) who should make the start line. A quick glance at the pre-entry list throws up names like home town boy, Francis Marsh of North Down AC, Simon Taylor (Annadale Striders) and Andrew Considine (North Belfast Harriers). All three will feature prominently, along with East Down AC’s Liam Veeney who won the Mill Hill one mile race last month. Young Ryan Holt may enter on the day following his impressive display in last weekend’s Decathlon Half Marathon. Ever consistent, unattached athlete Adam Boyd might make an appearance as well, should that be the case we suspect that he’ll get a podium finish after his fantastic run at the Laganside 10k earlier this month. With Dublin in their sights, North Belfast duo Martin Rea and Eddie Cooke may also toe the line. If Brendan Teer (East Down AC) doesn’t opt for something closer to home we also expect him to run well. Likewise, James Turtle (Ballymena Runners) and Greg Lavery (Larne AC), both enjoying recent good form should have enough quality to place well. In the ladies race, North Down AC will be expecting to see talented trio; Jessica Craig, Julie Balmer and Roberta Dornan in contention. With last year’s winner Kerry Harty out of the country the Bangor based club may be secretly hoping for a local victory, but with Gladys Ganiel O’Neill rumoured to be making an appearance that may prove difficult as she’ll want to improve on her 2nd place finish from last year. Gladys, despite her class, will not be resting on her laurels as the North Down ladies have been in fine form of late. Julie Balmer enjoyed a personal best performance at the Great North Run, while Jessica Criag ran an impressive 38:11 at Laganside. Another lady who may also show strongly is Dromore AC’s Julie Turley, should she make use of the race day entry. Having enjoyed numerous podium finishes of late she’ll certainly be pushing for similar on this outing. Things are certainly hotting up for the race and we’ll of course be letting you know who runs, as well as summarising the competitive front running. NiRunning would like to wish all runners the best of luck, and if you still haven’t decided what to do this weekend, why not enter on race day? On Saturday 22nd September 2012, a strong Northern Ireland team travelled to Melmerby, Northern Pennines for this years ‘Home International’ Mountain Running Championships. The event was ‘uphill only’, with each age group covering different distances, starting in Melmerby and finishing on Hartside, a 10km trek for the seniors, with a total climb of 539 metres to the summit. Teams from England, Scotland and Wales were also represented, as well as club runners from a host of nations. Proceedings kicked off at 12pm with the Under 16 womens race, covering 4.3km. Northern Ireland were well represented with a total of four entrants, Omagh’s Toni Moore led the team home in 29:06 (15th place), closely followed by club mate Roisin Flanagan (16th place – 29:23) and Newcastle AC’s Dearbhla Magee (29:54), who took 18th place. Elish Flanagan (Omagh Harriers) completed Northern Ireland’s interest in the race when she finished in 31:08 (20th place). Next up it was the Under 16 men, who also had 4.3km ahead of them. Patrick Sheridan, an exciting prospect from Newcastle AC was Northern Ireland’s first runner home in 23:12, taking 15th place. Omagh Harriers’ Timothy Mc Cracken was hot on his heels, crossing the line in 23:58 (19th place) with Jack O’Neill (Omagh Harriers) just behind, clocking 25:26 (22nd place). In the Under 18 womens race, Omagh Harriers’ Sara Moore produced an excellent display, covering the 6.3km course in 27:45, enough to secure a brilliant 14th place finish. As the clock struck 1.30pm the senior ladies started their 10km race, heading for the summit of Hartside. With a very strong team it was always going to be a close battle to see who would lead the group home. On this occasion it was experienced Shileen O’Kane (Lagan Valley) who took the honour, finishing in 15th place after crossing the line in 1:01:33, just seven seconds ahead of Springwell Runners’Gillian Wasson (16th place – 1:01:40). Gillian had barely drawn breath before Lagan Valley’s Diane Wilson crossed the line in 1:02:25 (17th place) with Anne Sandford (Lagan Valley) close behind, completing the tough course in 1:04:18 (20th place). The Northern Ireland ladies were rewarded for their impressive display and close ‘packing’ with a well-deserved bronze medal in the team event. The final race of the day was the much anticipated men’s 10km race, like the ladies they had to negotiate the 539 metre climb to the summit at Hartside. With the promise of a beautiful array of refreshments at the finish the men set off at a blistering pace and it was hot prospect Andrew Annett from Mourne Runners who showed first, climbing in his usual strong and steady fashion Andrew produced possibly his finest performance in green and white to date, finishing in an excellent 15th place, crossing the line in 49:25 (enough to secure 5th place in the U-23 category). Popular North Belfast Harrier Neil Carty was next home, covering the distance in 50:30 (22nd place), with England based Northern Ireland runner Gavin Mulholland close behind (24th place – 51:07). Armagh City AC’s Paul Mc Anespie, a man well known for his strong consistent performances did not disappoint, finishing in 27th place after clocking 51:56. Experienced mountain runner, David Mc Neilly (Newcastle AC) crossed the line in 53:20 (30th place) with Mourne Runner Clive Bailey completing an excellent team performance when he finished in 55:15 (33rd place). The men’s senior team just missed out on a podium finish, just being pipped to the bronze medal by a strong Wales team. NiRunning would like to congratulate the Northern Ireland team on an impressive outing at the ‘Home International’. On Saturday 22nd September hundreds of runners gathered at the Dungannon Leisure Centre for the annual running of the Felix 10k, a popular road race on the Northern Ireland fixture list. With some of the country’s best road runners on show it was sure to be an exciting event, although it was arguably our best runner, Joe Mc Allister (St Malachy’s AC) who showed his class by decimating the field. Straight away Joe, training for the upcoming Dublin Marathon moved clear of the chasing pack and continued to extend his lead, finishing over three minutes ahead of the nearest competitor as he crossed the line in 1st place, running an impressive 30:43 on the undulating course. The battle for 2nd and 3rd was much closer, with Sperrin Harriers’ Donal Gallagher (34:03) beating North Belfast Harriers’ Paul Blaney (34:07) by just four seconds. In the ladies race, Breege Connolly (North Belfast Harriers), also training for Dublin Marathon continued her recent form, producing a strong performance to take 1st place in 35:14. Sperrin Harriers’ Karen Alexander (36:54), who won the O’Brien Challenge last weekend, had to settle for 2nd place on this occasion with City of Derry’s Anne Paul taking 3rd place, clocking 39:21. Sunday 23rd September 2012 saw the annual running of the Decathlon 10k Road Race at Hollywood Exchange, Belfast. This year, competitors also had the option of a Half Marathon. With a fast, flat course and good weather conditions things looked good for personal best hunters and fun runners alike. In the 10k race, Conor Murphy (Unattached) and recent Laganside winner Keith Purdy (Annadale Striders) battled throughout the race, with Conor eventually surging clear to claim 1st place in 31:49, Keith Purdy (32:07) took 2nd place with Willowfield’s Paul Rowan (33:19) in 3rd place. In the ladies race, North Down AC’s Jessica Craig ran an impressive race, securing 1st place in 38:36, well clear of Lagan Valley’s Julie Murphy (40:58) in 2nd and Fiona Johnston (Up & Runners) in 3rd place, after crossing the line in 42:37. In the Half Marathon, young Willowfield runner Ryan Holt produced an outstanding performance, taking 1st place in 1:12:45. Annadale Striders’ Stephen Mc Grory was 2nd after clocking 1:14:16 with birthday boy, and long serving East Antrim Harrier Sam Crawford (1:17:41) in 3rd place. Natalie Bowbanks (Unattached) won the ladies 13.1 mile race, crossing the line in 1:38:46. Sharon Harvey of Ballymena Runners, a lady producing some impressive performances over recent weeks took 2nd place, running 1:41:58 with Lagan Valley’s Letita Meenan (1:42:49) in 3rd place. On Sunday 23rd September 2012, Annadale Striders Paddy Hamilton and Dromore AC’s Julie Turley joined a field of nearly 650 runners competing in the Charleville Half Marathon in Cork. From the gun, Sergiu Ciobanu (Clonliffe Harriers), Sean Hehir (Rathfarnham AC) and Paddy Hamilton made their intentions clear, with Segiu and Sean going through half way in 32:33 with Paddy (32:58) just behind. At this point, Maria Mc Cambridge (Letterkenny AC) was well ahead in the ladies race, going through the half way mark in 36:26, over a minute ahead of Raheny Shamrock’s Barbara Sanchez (37:53), with Dromore AC’s Julie Turley (38:54) and Leevale AC’s Lizzie Lee (38:55) a further minute behind. As the race progressed, Sergiu Ciobanu continued his relentless pace, moving clear of recent rival Sean Hehir to take 1st place in 1:04:51. Sean Hehir (1:05:17) held on to take 2nd place with Northern Ireland man Paddy Hamilton crossing the line in 3rd place, running 1:06:47. Maria Mc Cambridge took a well-deserved 1st place in the ladies race, completing the course in 1:12:51. Barbara Sanchez (1:15:51) finished in 2nd place with Lizzie Lee (1:17:52) in 3rd place, just ahead of an impressive Julie Turley who ran 1:17:57. Top 3 Men: 1st Sergiu Ciobanu (ClonliffeHarriers) – 1:04:51, 2nd Sean Hehir (Rathfarnham AC) – 1:05:17, 3rd Paddy Hamilton (Annadale Striders) – 1:06:47. Paul Callaghan: One man, two weeks…. 16 marathons! This October cook and blogger Paul Callaghan will set out from his adopted home town of Ennis, Ireland on a journey that will see him complete a half-marathon in every county in Ireland, in just 12 days (the equivalent of 16 marathons/419 miles). Paul is doing this event in order to raise funds for Aware, the national depression support, information and education organisation, having come through his own difficult experience as a result of the recession. Paul is scheduled to be in Northern Ireland on Monday 22nd October: 7am – Enniskillen and 5pm Strabane. Tuesday 23rd October: 7am – Derry/Londonderry City, 12pm – Belfast and 5pm – Newry. His final leg in the north will be on Thursday 25th October where he will start in his native Armagh City at 7am, before heading to Monaghan. As soon as we confirm Paul’s actual routes within the town/cities we will publish them in our ‘forum’. If you can, please get out and support Paul, he is looking for runners to accompany him for a few miles in each town/city. The final standings of this year’s British Fell Running Championships were released this week, with several Northern Ireland runners finishing in very respectable positions, despite having completed just one of the four events. The Championships were based over four races: Short courses at Slieve Bearnagh (N. Ireland) and Moel Wnion (Wales). A medium course at Coledale Horseshoe (England) and a long course at Arrochar Alps (Scotland). The Men’s individual winner was the well-known Joe Symonds (Kendall Athletic Club). Stephen Cunningham (Mourne Runners) was our highest placed male in 44th place, with the following runners also placed: 57th Andrew Annett (Mourne Runners), 61st Jonny Steede (Ballymena Runners), 67th Neil Carty (North Belfast Harriers), 78th David Mc Neilly (Newcastle AC), 91st Clive Bailey (Mourne Runners), 105th David Steele (Newcastle AC) and 132nd Jim Brown (BARF). Laura Jeska (Todmarden Harriers) took the female individual title, with Fermanagh’s Ciara Largey the highest placed Northern Ireland lady in 20th place. In 22nd place was Diane Wilson (Lagan Valley), 43rd Anne Sandford (Newcastle), 51st Jackie Toal (BARF), 55th Hazel Mc Laughlin (Lagan Valley), 60th Denise Mathers (Newry City Runners) and 78th Joanne Curran (BARF). 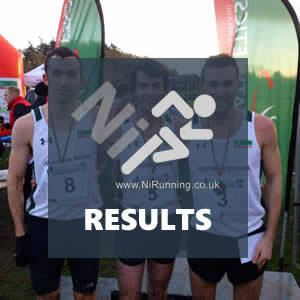 In the Men’s team standings, Mourne Runners finished in 9th place with Newcastle in 14th place and BARF in 17th place. Borrowdale Fell Runners were clear winners of the team prize. Lagan Valley Ladies finished in an excellent 7th place in the ladies event, with Dark Peak Fell Runners claiming 1st place. On Sunday 16th September 2012, thousands of runners descended on Newcastle-Upon-Tyne for the annual Great North Run. With nearly 40,000 participants, the ‘GNR’ has become the world’s most popular Half Marathon. With the ‘City Games’, taking place the day before the big race, the weekend of festivities draws crowds from all over the world. Some are there to raise money for charity, some train for months for a personal best, while others just want to soak up the atmosphere. Either way, all come together for a weekend of running, fundraising and well deserved celebrations. Amongst the hundreds of thousands of visitors to the city, there were quite a few Northern Ireland runners taking part in the Half Marathon. North Down AC’s Julie Balmer proudly lined up alongside some of the world’s best female distance runners in the Elite Women’s field, doing herself proud as she completed the course in a new personal best of 1:23:21. Meanwhile, in the ‘mass start’ there were many other notable performances; Thomas Leitch (Orangegrove AC) led the visiting Northern Ireland participants home in 1:22:08, closely followed by Omagh Harriers’ Terry Canning (1:22:26). Alvin Taylor (1:25:36) produced a personal best performance and led a seven strong Sperrin Harriers contingent home, while Sperrin team mate Francis Stewart (1:28:49) just beat North Down AC’s Nick Irvine (1:28:57) across the line by eight seconds. Andrew Stevenson (Seapark AC) finished in 1:32:28, while club mate Gillian Cordner, who has been in good form recently ran an excellent 1:34:04. Ciaran Smith (Foyle Valley AC) was a mere four seconds behind Gillian, crossing the line in 1:34:08. Sperrin Harrier, Kevin Murphy (1:34:49) was close behind, before four Northern Ireland runners followed in quick succession, first was recent Ironman competitor Paul Mc Erlain (Sperrin Harriers) in 1:35:02, just ahead of Luke Slater (1:35:13) from City of Derry, Alwyn Mc Kee (1:35:35) from Dromore AC and County Antrim’s Chris Barrett (1:35:49). Orangegrove AC’s Andrew Mc Kenzie finished in 1:38:32 with Springwell Running Club’s Alan Mc Keeman (1:38:50) hot on his tail. Queens University student Jack Gebhard clocked 1:41:13, one second ahead of Darren Warnock (Sperrin Harriers) who ran 1:41:14. The next two Northern Ireland finishers were equally as close, albeit being club mates they may have been running together, it was Elizabeth Leitch (1:42:15) and Louise Lemon (1:42:16) from Orangegrove AC. Noel Mc Monagle (City of Derry) was the next competitor to enjoy the one mile seaside run in to the finish, he crossed the line in 1:44:52, followed by Marguerite Quinn (1:45:26) from Murlough AC and Springwell’s Scott Bell (1:48:47). Paddy Quinn, from Sperrin Harriers has been carrying an injury of late but still managed to compete and finish in a very respectable 1:49:42, ahead of Murlough AC’s Patricia Crawford (1:52:47) and East Down AC’s Jackie Gilbride who managed to slip under the infamous two hour barrier in 1:59:17. Foyle Valley duo, Maura Henry and Joan Mc Lain both just missed the very same barrier, crossing the line together in 2:00:35. Paula Mc Kibbin, another of the Murlough AC group finished in 2:05:30 before a short lull in Northern Ireland finishers. That was until Caroline Taylor (Springwell Running Club) came into view, crossing the line in 2:09:38 with club mate Zara Hunter running 2:12:43. As the clock ticked away, Fiona Dunne (Foyle Valley) finished as it struck 2:14:34 with Seapark AC’s Gillian Mc Kee (2:14:41) just seven seconds later. Elaine Mc Kay (Larne AC) battled through the pain barrier after picking up an injury around the eight mile mark, she managed to finish in 2:15:41. Next up it was City of Derry runner Edmund Quigley, who crossed the line in 2:24:40. As the crowds continued to support the brave competitors, Seapark AC’s Barbara Porter (2:36:40) crossed the line. A trio of Murlough AC runners, consisting of Susan Leneghan, Grainne Madden and a third simply referred to as Mrs Mc Govern finished together in 2:54:08. The Men’s race was won by London Marathon winner Wilson Kipsang, who ran 59:06, while the ladies race was won by Olympic 10,000m Champion Tirunish Dibaba who completed her debut Half Marathon in 1:07:35. NiRunning would like to congratulate all participants, especially those who worked tirelessly fundraising for so many worthwhile causes. We have trawled through the results in an attempt to mention every Northern Ireland competitor but as you will understand, with 40,000 people taking part we will have missed some. If we haven’t mentioned someone you know who competed, please email us and we’ll happily add them. Mourne Mountain Marathon: Boland & Jones celebrate victory! On Sunday 16th September, hardy participants in the Mourne Mountain Marathon set off on their second day of racing. After receiving race co-ordinates this morning the elite field covered approximately 22km, battling through wet and muddy terrain to reach the welcomed finish at Tullymore Forest Park. After two days of intense physical effort, Brendan Boland & Chris Jones held onto top spot, completed the gruelling course and finishing in 1st place. Newcastle AC duo, Deon McNeilly & Eamon McCrickard, previous winners of the event took an excellent 2nd place after overtaking Billy Reid & Gerry Kingston who claimed the final podium place, after securing 3rd place. In the ‘B’ category, a race spanning an overall distance of 45km, Robert Hickling & Sean O’Sullivan took 1st place in 9:49:21. Whilst in the ‘C’ and ‘D’ category races, both covering 35km, Clive & Liam Coffey (7:13:29) and Robert Hegarty & John Sullivan (8:18:12) claimed 1st place respectively. O’Brien 26.2k Challenge: Simpson and Alexander enjoy success! On Saturday 15th September, runners from all over the province took part in the third running of the O’Brien Challenge, held in the beautiful Sperrin Mountains. Starting at Lough Fea, the runners make their way over the roads into Davagh Forest, where much of the 26.2km the mixed terrain course is. On exiting the forest the runners then make their way back up towards Lough Fea, covering a steady 3km climb before an enjoyable flat finish. As the runners set off, David Simpson (Corstorphine AAC), Allan Bogle (City of Derry) and Chris Mc Peake (Sperrin Harriers) showed their intent, moving quickly to the front. As they reached Davagh Forest, David Simpson,who had won the City Park Parkrun (Craigavon) that morning was well clear, with Allan Bogle, Chris Mc Peake, Donal Gallagher (Sperrin Harriers) and Dale Mathers (Newry City Runners) behind. Karen Alexander (Sperrin Harriers) was well clear in the ladies race, hoping to regain her title. Unfortunately, not far into the forest one man’s title retention was not going to happen, as last year’s winner Chris Mc Peake was forced to pull out due to a hip injury. This left Allan Bogle in a clear second place with Donal Gallagher and Dale Mathers battling it out for 3rd place. Meanwhile in the ladies race, Karen Alexander was proving a different class as she increased her lead further through the forest, coming out onto the road ahead of Caroline Irwin (Springwell Runners) who was also having an excellent run. As the runners made their way up the tough final climb into the view of the awaiting finish line spectators it was David Simpson, well clear of any challenger who finished strongly, taking 1st place as he crossing the line in 1:38:23, breaking the course record from last year. Allan Bogle was next into view, taking 2nd place in 1:42:01 with an impressive Donal Gallagher (1:42:26) in 3rd place. Karen Alexander led the ladies home in 1st place, crossing the line in 1:52:38, smashing the course record. Caroline Irwin continued her excellent run, finishing in 2nd place in a time of 2:12:15 with Anne Killan (Unattached) in 3rd place, after clocking 2:14:56. After the race, the runners enjoyed the post-race dissection, before making their way to the Charis Cancer Centre, Lough Fea for post-race refreshments and prize-giving. All proceeds from the excellent event were donated to the Charis Cancer Centre. Full results will appear within our ‘Results’ section when available. Please see our ‘Photo Gallery’ later today for pictures from the race. 2012/13 McGrady Financial Junior Cross Country Series kicks off! Saturday 15th September saw the return of the Mc Grady Financial Services sponsored Junior Cross Country Series, now in its third year the event offers junior athletes from primary five to year eleven the opportunity to participate in well organised races, held in some of the country’s most beautiful settings. This week, the picturesque Spring Gardens of Castlewellan Forest Park was the venue for the opening encounter. Previously the competition was mainly between Newcastle AC and East Down AC but this year Burren AC will be competing in the series for the first time. The series will be run from September 2012 until February 2013, with five races taking place. This year a new scoring system will see all competitors taking part score points for their team, with bonus points available for teams that are best represented in the various categories. Prizes will be awarded to the highest scoring boys’ and girls’ teams at the end of the series. In an Olympic summer when the legacy from the highly successful games is discussed just as often as the achievements of the participants themselves, this series gives children/junior athletes the opportunity to try out running for the first time, or to come back and improve their times and places from the previous two years. P4 (and Under) – Fionn Coney (Newcastle AC) and Laura Mc Carthy (Burren AC). P5 – Thomas Mc Keaveney (Burren AC) and Hannah Carson (Newcastle AC). P6 – Danny Williamson (Newcastle AC) and Eve Kenneally (Newcastle AC). P7– Caoilin Quinn (East Down AC) and Eve Dunford (Burren AC). Year 8 – Jack Mc Farrell (Burren AC) and Sarah Dougherty (Newcastle AC). Year 9 –Peter Fagan (Burren AC) and Laura Green (East Down AC). Year 10 – Paraic Delahunt (Burren AC) and Eilis Doyle (Newcastle AC). Year 11+ -Paddy Erskine (East Down AC) and Dearbhla Magee (Newcastle AC). Forthcoming dates are: Sunday 14th October (1.30pm) at Kilbroney Forest Park, Rostrevor. Sunday 18th November (1.30pm) at Castleward Park. Sunday 6th January (1.30pm) at Delamount Park. Saturday 16th February (11am) at Tollymore Forest Park, Newcastle. Full Results: Mc Grady Financial Junior Cross Country (Castlewellan). Pictures are available on the Newcastle AC Website. 1st place – Brendan Boland & Chris Jones, 2nd place – Billy Reid & Gerry Kingston, 3rd place – Deon McNeilly & Eamon McCrickard and 4th place – Patrick Higgins & Jonathon McCloy. The teams will cover 55k over two days, only receiving race co-ordinates prior to setting off each day. We will publish a race summary along with full results after tomorrows finish. Dublin Half Marathon 2012: Congratulations Joe Mc Allister!! The Dublin Half Marathon took place today, Saturday 15th September 2012. This was the penultimate race of the Dublin Marathon race series and took the participants around the roads of Pheonix Park, Dublin. The race was won by Northern Ireland runner Joe Mc Allister (St Malachy’s AC), who broke the tape in 1:10:08. Waterford AC’s Frank Quinan took 2nd place in 1:12:28 with Eion Brennan (Tallaght AC) in 3rd place in 1:13:16. In the ladies race, Elish Kelly (Raheny Shamrock AC) secured 1st place, clocking 1:18:14. Niamh Devlin (1:19:14) from DSD took 2nd place, closely followed by Blanchardstown AC’s Adrienne Jordan (1:19:49) in 3rd place. Countless other Northern Ireland runners produced excellent performances, including North Belfast Harriers, Conor Curran who finished in a superb 7th place, running a personal best of 1:14:28. Also, Ballymena Runners’ Ben Morrow (45th place) who crossed the line in 1:19:11, just three seconds ahead of last weekend’s Northern Ireland debutant Mark Kendall (Newcatle AC) who took 46th place in 1:19:11. Barrie Atkinson led a thirty strong East Down contingent home in 1:21:06, before Wayne Morrow (Larne AC), brother of earlier finisher, Ben Morrow finished in 1:23:44 (132nd place). Banbridge Athletic Club’s Scot Henderson (291st place – 1:28:38), took 2nd place in the male junior category. The following Northern Ireland runners broke the infamous 1:30:00 landmark were, Philip Vint (East Down AC) – 1:24:55 , Gerard Mc Namara (North Belfast Harriers) – 1:27:21, Ryan Landy (Unattached) – 1:28:07, Ian Gourley (BARF) – 1:28:35, Paul Bryson (Unattached) – 1:29:41, Colin Drain (Unattached) – 1:29:45. We would like to extend our congratulations to all Northern Ireland runners who competed in the race, unfortunately it would be impossible to give everyone a mention. Tonight, Friday 14th September 2012, we at NiRunning organised our first ever event. This was in conjunction with world famous podcast/website Marathon Talk and their global ‘Magic Mile’ challenge. The challenge encourages participants from all over the world to run a timed mile, which is then logged under their ‘team’ (Team Uk v Team USA v Team Rest of the World). Times are then converted to an age graded percentage and an average calculated for each team, the team with the highest age grading percentage is then declared the winner. A small but enthusiastic group took to the Antrim Forum track, giving everything over the distance. Paul Jenkins (North Belfast Harriers) had the pleasure of completing the fastest mile but every runner crossed the line having improved their personal best for the distance. After an enjoyable night, with good craic and very encouraging feedback from the participants as well as requests from other runners we will most definitely be organising a one mile race. Next time, we promise not to spring it on you four days before the event! Entries are already coming in for the 32nd Deep RiverRock Belfast City Marathon, which gets under starters’ orders next May Day Bank Holiday Monday, 6 May 2013. “It is hugely encouraging that we already have several hundred people to take this coming year,” said Danny O’Connor, Chairman of the Deep RiverRock Belfast City Marathon Organising Committee. “The huge success of this year’s London Olympics has spurred many people into taking up a sport, a new challenge – and what bigger challenge can there be than to complete a marathon,” enthused Danny. Launching the 2013 event this morning (Thursday 13 September), the Lord Mayor of Belfast, Alderman Gavin Robinson, spoke of his high regard for everyone who has taken part in the marathon over the years, “More than 30 years ago, Belfast City Council, took the decision to stage the first Belfast City Marathon – and, over the intervening years, the event has gone from strength to strength,” he said “When other marathons fell by the wayside, Belfast continued to grow. Now, with the resurgence of interest in running – especially as a cheap and efficient way of getting and staying fit – we are benefiting from record entry numbers each and every year,” continued the Lord Mayor, “While the marathon is undoubtedly a serious business, especially for competitive runners, it is also about having fun and enjoying yourself – whether you are a serious runner, or taking part in the relay with a team of friends or just cheering the runners along. “Belfast, quite rightly, is regarded as one of the world’s friendliest marathons, and runners from near and far are always encouraged by the warmth of the support they find in all four corners of our city. Once again, I would urge the people of Belfast to turn out and support the runners on May Day – whether it be by offering a glass of water or a slice of fruit, or merely an encouraging word,” concluded Alderman Robinson. Danny O’Connor also pointed out that the Deep RiverRock Belfast City Marathon is the biggest single participatory sporting event in Northern Ireland, “It is also one of the biggest charity fundraising events, with almost every runner or walker taking part to benefit their favourite charity. And I’m delighted to announce that, in 2013, we will be supporting the magnificent work of Cancer Focus Northern Ireland, as our officially nominated charity,” announced Danny. The Deep RiverRock Belfast City Marathon is also sponsored by Belfast City Council, Podium 4 Sport, Saucony, Sport Northern Ireland, Tayto and Translink. Media partners are the Daily Mirror and U105. The 2013 Deep RiverRock Belfast City Marathon is organised by Belfast City Marathon Ltd., in partnership with Athletics Northern Ireland, Belfast City Council, the Department for Regional Development, Newtownabbey Borough Council, the Police Service of Northern Ireland and Translink. The official charity for 2013 is Cancer Focus Northern Ireland. Marathon Talk ‘Magic Mile’ in association with NiRunning: FREE event!! 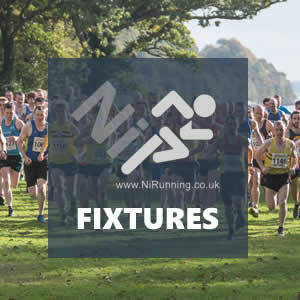 At NiRunning our aim is to promote Northern Ireland running, in line with this we want to offer FREE events. Our first event will be in conjunction with the world famous Marathon Talk website/podcast and their Marathon Talk ‘Magic Mile’ Challenge. The event will take place on Friday 14th September 2012 at Antrim Forum (Athletics Track). Registration will commence at 7pm and the ‘challenge’ will begin at 7.15pm. This will be an informal event, open to running enthusiasts of any ability. ChampionChip Half Marathon Series: Final standings released! After Sunday’s final race in this years ChampionChip Half Marathon Series (Waterside Half Marathon) the prize winners were revealed. With a total of over 8,000 participants taking part in the eight races: Larne, Omagh, Newry, Lisburn, Ards, Dervock, Cookstown and Waterside the series proved to be an outstanding success again this year. A hardy twenty three runners completed all eight races, their efforts will be rewarded with the presentation of a complimentary garment. To be considered as a series winner each individual had to complete six of the eight races, with the added stipulation that three had to be out of the first four races, and three had to be from the final four events. Men: Male Open – Dennis Scott (North Down AC), Vet35 – Andrew Considine (North Belfast Harriers), Vet40 – Stephen Mc Grory (Annadale Striders), Vet45 – John Hughes (Termoneeney RC), Vet50 – Nigel Grier (Dromore AC), Vet55 – Jim Breen (Springwell Runners). Ladies: Female Open – Roisin Hughes (Up & Runners), Vet35 – Julie Balmer (North Down AC), Vet40 – Joanne Curran (BARF), Vet45 – Patricia Campbell (Omagh Harriers), Vet50 – Patricia Brown (Newry City Runners), Vet55 – Mary Mackin (Dromore Harriers). Three Northern Ireland runners travelled to the Jungfrau, Switzerland for the World Long Distance Mountain Running Championships this weekend. With the highest point of the 26.2 mile race at 7,234ft and sections of the race at over 2,000 metres of altitude the Jungfrau Marathon is now recognised as one of the world’s toughest marathons. On the other hand, the course offers some of the most stunning scenery in the world, coupled with the organisers attention to detail the race now has a ‘cult’ following and sell out most years. Having no female representation in Saturday’s ladies World Championship race, it was down to the men to take centre stage on Sunday. Accompanied by approximately 4,000 other competitors, the Northern Ireland team members; Don Travers (Newry City Runners), Justin Maxwell (Larne AC) and Mark Kendall (Newcastle AC) took to the start line in Interlaken. Although the first 10k was the flattest section of the course, the entire field went out at a conservative pace. With the world famous ‘Eiger’ dominating the mountainous skyline the runners were constantly reminded of what was to come. Justin Maxwell led the team into the long, steep climbs and went through Lauterbrunnen (approximately 21k) in 1:26:25, with Don Travers (1:30:57) and Mark Kendall (1:30:59) close behind. As the race progressed, the uphill sections increased, leading to an understandable drop in pace. Running strongly, the Northern Ireland men reaped the rewards of hours of training in the Mourne Mountains and began to establish themselves well within the top class field. After a strong second half, Justin was the first team member to reach Kleine Scheidegg and the nearby finish area, tired but still moving very well he crossed the line in 67th place in a time of 3:39:32. Don Travers, well-known for his outstanding ability as an endurance runner was next into Kleine Scheidegg, clocking an excellent 3:48:50 (107th place). Having played a major part in the Newry City Runners’ recent Guinness World Record (for greatest distance covered in a relay run), Don will surely look forward to a well-earned rest period. Mark Kendall, making his international debut, began to suffer a little in the last 10k but held on, digging deep he finishing in 3:56:19 (155th place). With a debut performance of this standard Mark will definitely be celebrating further International call-ups. The Northern Ireland Team Manager was Ian Taylor (NIMRA). Austrian, Markus Hohenwarter retained his title, winning the race for the second consectutive year. Hohenwarter completed the course in 2:59:42. NiRunning have put together an article in relation to the team and their trip to Switzerland. 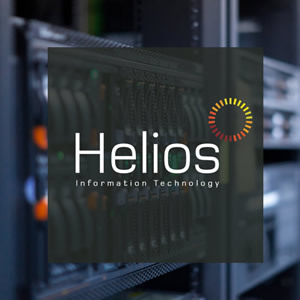 Please see our ‘Monthly Feature’ section. The final race of the Championchip Half Marathon Series took place today, Sunday 9th September. Despite heavy rain, thousands of runners and spectators took to roads around Gransha, Derry/Londonderry for the ‘Waterside Half Marathon’. Last year’s winner, Stephen Duncan (Omagh Harriers) began the race as favourite and did not disappoint, running an excellent race and securing the title once again. However, City of Derry’s Declan Reed made sure he earned the victory. It was a close race between the pair until a surge from Stephen (Duncan) in the later stages proved to be the pivotal moment, he crossed the finish line in 1:08:52, just eleven seconds ahead of Declan Reed (1:09:03) to claim victory. City of Derry runner, Noel Logan (1:12:00) also ran well, taking over two minutes off his time from last year, took 3rd place. In the ladies race, Irish runner Fiona Stack (Tir Chonaill AC) claimed 1st place, after clocking an impressive 1:22:18. Marina Campbell (City of Derry), who is enjoying an excellent season, having tasted victory several times had to settle for 2nd this time, crossing the line in 1:25:17. Lifford AC’s Claire Mc Guigan (1:27:36) took 3rd place. Picture by Martin Mc Keown (inpresspics.com). Championchip Half Marathon Series final standings will be added when available. On Saturday 8th September, this year’s instalment of the Keith Reid Memorial 10k Road Race in Draperstown. With new organisers S.T.E.P.S (Community Development Organisation) at the helm the popular event proved extremely successful. Jason Walsh took 1st place in the men’s race, leading the field home in 38:01. Adrian Devlin (39:37) and Alan Shaw (40:23) finished in 2nd and 3rd place respectively. In the ladies race, Jacqueline Mulligan (48:36) had enough left to hold off Violet Linton (2nd place – 48:50) by just fourteen seconds, securing 1st place. Siobhan Mc Nally (52:23) finished in 3rd place. After enjoying their first attempt at promoting the event, organisers promised a bigger event next year. That will come as good news, seeing as the event is already well run. On Saturday 8th September, the inaugural ‘Dambusters 10/10’ took place. The race is organised by Born 2 Run events and offers participants the choice between a 10 mile or 10k course in Silent Valley, an area of outstanding natural beauty located within the Mourne Mountains. East Down AC’s Brendan Teer continued his recent good form, winning the 10 mile event in 56:06. Martin Rea (North Belfast Harriers), who we’re delighted to see back racing regularly again, took 2nd place, crossing the line in 58:27. Unattached athlete Seamus Lynch (1:01:32) ran an excellent race, finishing in 3rd place. In the ladies race, Karen Alexander (Sperrin Harriers) showed why she was pre-race favourite as she ran impressively, leading the ladies home in 1:04:53. Seapark AC’s Gillian Cordner (1:11:47) took 2nd place with Orangegrove AC’s Julie Mc Kimm (1:20:46) in 3rd place. In the 10k event, another runner in excellent form, Adam Boyd (Unattached) followed his excellent 3rd place in Laganside 10k last weekend with a win, completing the course in 34:28. Craig Hutchinson (Larne AC), just returning from injury finished in 2nd place, running 36:32 with Steven Liggett (38:15) in 3rd place. Local lady, Virginia Ervine from Mourne Runners won the ladies 10k in 44:48, with Keri Fitzpatrick (46:36) and Linda O’Neill (49:25) in 2nd and 3rd place respectively. Top 3 Ladies: 1st Virginia Ervine (Mourne Runners) – 44:48, 2nd Keri Fitzpatrick (Unattached) – 46:36, 3rd Linda O’Neill (Unattached) – 49:25. The all new Portrush Parkrun took place on Saturday 8th September, the 5k time trial boasts a unique but challenging course on the East Strand beach. 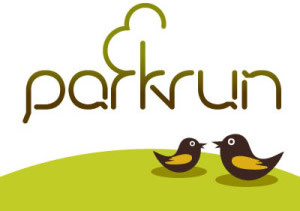 As with all Parkrun’s, the event is absolutely FREE of charge. It starts at 09.30hrs every Saturday morning, with after race refreshments in 55 degrees North café/restaurant. The winners of the first event were Chris Millar (19:25) and Alison Rankin (22:04). We have added a link to the Portrush Parkrun website to our ‘Results’section, where you will also find links to all other Parkrun events. London 2012 Paralympic Games Update: Smyth secures second Gold! Northern Ireland’s fastest man, Jason Smyth (representing Team Ireland) secured his second Gold medal in the London 2012 Paralympic Games after setting a new Paralympic world record of 21.05 in the (T13) 200 metres final. Jason finished ahead of Russian duo Alexey Labzin (21.95) and Artem Loginov (22.03) who were 2nd and 3rd respectively. Today, Friday 8th September a team of three Northern Ireland runners leave for Switzerland, to proudly represent their country in the ‘World Long Distance Mountain Running Challenge’. The Northern Ireland trio of; Don Travers (Newry City Runners), Justin Maxwell (Larne AC) and Mark Kendall (Newcastle AC) will compete against some of the world’s finest long distance mountain runners in the Jungfrau Marathon. The men’s World Championship race will take place on Sunday 9th September, kicking off at 09.00hrs local time. With 8,200 entries coming from 70 countries participating in the marathon, it is sure to be an exciting yet challenging experience for the Northern Ireland runners. Last year’s Jungfrau-Marathon winner, Markus Hohenwarter (Austria) returns, hoping to retain his title while previous World Challenge Champion, Mitija Kosovelj (Slovakia) will want to keep his crown. It is sure to be a close battle, especially considering the addition of strong Kenyan and USA teams. With regard to UK representation, English ultra-runner Huw Lobb has the ability to compete, as does Rab Samuel (Wales) who previously won Snowdonia Marathon. In Saturday’s (8th September) ladies race, the favourites are last year’s winner Aline Camboulives (France) and ‘local’ lady Jasmin Nunige (Switzerland) but again, with strong teams from the Kenya, Ethiopia and USA nothing is assured. Although Northern Ireland has no female participants in the race, Angela Mudge (Scotland), previous British Fell Running Champion and World Mountain Trophy Winner will surely get support from the Northern Ireland spectators having raced on our shores many times. Each and every runner will have the opportunity to take in some breath taking views as the course meanders through some of the most beautiful terrain in the world. Starting in Interlaken the 42.195-kilometre (26.219 mile) course climbs 5,960 feet (1,823m) in elevation to the finish at the Kleine Scheidegg. The first 10k of the course is flat taking the runners along the shores of the beautiful Lake Brienz before heading southwards to Wilderswil. From there the course heads upward through Zweilutschinen to Lauterbrunnen where is takes in a 5k loop of the town before heading back towards Lauterbrunnen and then eastward towards Wengen before climbing relentlessly upward over the Wengernalp, turning east and then northeast beneath the infamous Eiger. The runners reach the highest point of 7,234 feet (2,205m) around the 40k point, before heading steeply downhill for the last kilometre to the finish at Kleine Scheidegg at an altitude of 2,061m. Thursday 6th September saw the annual running of the Portglenone 5k Road Race, a race organised as part of the‘Gig on the Bann’ village festival. With the atmospheric Main Street start it was clear to see why the organisers were celebrating a record turnout. As the runners made their way uphill and into a rural section of the course Chris Mc Peake (Sperrin Harriers) led the 250 strong field. Whilst in the wilderness an apologetic marshall sent the front runners the wrong way, the second time this has happened to Chris Mc Peake in a week. As the race progressed it was North Belfast Harrier’s Gregory Walsh and Ballymena & Antrim’s Matt Wray who had put the mistake behind them and were looking like eventual winners, with another North Belfast Harrier, Claire Connor leading the ladies race closely pursued by Larne Athletic Club’s Geraldine Quigley. As spectators peered into the distance, trying to spot and identify the lead runners it was Gregory Walsh who came into sight first. The shouts had barely passed down to the finish line before Matt Wray was in view. However, Matt didn’t have enough to catch Gregory as they came into the final straight. Gregory Walsh crossed the finish line in 1st place, running 16:56 with Matt Wray (16:58) just two seconds behind in 2nd place. Chris Mc Peake regained his composure, got back on track and completed the course in 17:06, taking 3rd place. In the ladies race it was the impressive Claire Connor (North Belfast Harriers) who held onto her lead and crossed the line in 1st place, with a winning time of 19:18. Larne AC’s Geraldine Quigley (20:16) finished in 2nd place with Ballymena Runner newcomer and one to watch Sharon Harvey (21:21) in 3rd place. After the race, tired runners and spectators enjoyed the post-race hospitality in the Community Centre where organisers provided copious delicious refreshments. London 2012 Paralympic Games Update: Smyth in line to defend title! Jason Smyth qualified for tomorrow’s (T13) 200 metres final in impressive style this afternoon, finishing 1st in his heat and clocking 21:48, a new personal best. In truth, the Eglinton man never looked in danger and won by a comfortable margin.Jason will return to the track on Friday evening hoping to defend his title, the race is scheduled for 19.25hrs and will be televised (Channel 4). London 2012 Paralympic Games Update: Well done Sally Brown! Sally Brown ended her Paralympic participation with a 6th place finish in tonight’s (T46) 100 metres final. Sally clearly gave the race everything she could, but looked a little disappointed with her 13:74 finish time. Cuban athlete Yunidis Castillo won the race in an excellent 12:01. Considering Sally’s injury problems prior to the competition, she should be extremely proud of herself! London 2012 Paralympic Games Update: Brown reaches 100m Final! In this evenings (T46) 100 metres heats Springwell Runners’ Sally Brown, competing for Team GB finished in 3rd place (Heat 1), running 13:67. This was enough to earn a very happy Sally automatic qualification into Wednesday nights final. After failing to make it through her (T46) 200 metres heats last Friday, Sally was disappointed, hopefully this excellent performance has dispelled those emotions. Tomorrow nights final will be televised (Channel 4) and is scheduled for a 21.00hrs start. On Monday 3rd September, organisers of the ‘Mill Hill Mile’ celebrated a record turnout when a total of 139 brave competitors took to the start line for the 25th running of the event. Even though it measures “only one mile” this must be one of the hardest events in the country, as runners make their way from the starting point in Annsborough straight uphill to the finish at the Market House in Castlewellan. After a competitive start it was Liam Venney (East Down AC) who crossed the line in 1st place, claiming the title for the third consecutive year in a winning time of 5:33. Host club, Newcastle AC’s Iain Bailey was 2nd in 6:03, with Brendan Teer (6:17) of East Down AC in 3rd. In the ladies race, Joanne Mills (Unattached) took 1st place in 7:03 with Dearbhla Magee (Newcastle AC), showing that she is in good form ahead of this months ‘Home International’ taking 2nd place, after running 7:44. Club mate Eve Keneally (Newcastle AC) was 3rd in 8:52. McKillop secures his place in history! Michael McKillop claimed his second gold medal of the Paralympic Games tonight, after winning the (T37) 1500 metres final in emphatic style. Michael’s class was clear to see in the final 800 metres when he ran clear of the field, leaving himself enough time to wave to the cheering crowds as he crossed the line in 4:08:11, securing gold and with it a place in Paralympic history! Annadale Strider’s Paul Pollock: National Half Marathon Champion! National Half Marathon title WINNER: Paul Pollock! Northern Ireland’s Paul Pollock (Annadale Striders) was the impressive winner of Sunday’s National Half Marathon title at the Woodies DIY Half Marathon in Athenry, Galway. The event took place in hot and humid conditions on a tough undulating course, making it a grueling experience for all the athletes involved. With a field of close to 500 hundred runners taking to the start line, national titles were always going to be hard to come by. In the men’s race, Paul Pollock was well placed over the first six miles, with Gary O’Hanlon (Clonliffe Harriers AC), Sergiu Ciobanu (Clonliffe Harriers AC) and Sean Hehir (Rathfarnham WSAF) all close by. When the lead group approached seven miles Paul Pollock picked up the pace and made the decisive break, continuing his relentless pace through the remainder of the race, securing 1st place in 1:04:17. Sergiu Ciobanu crossed the line in 2nd place in a time of 1:06:47, with defending champion Sean Hehir in 3rd place in 1:07:05. Maria McCambridge (Letterkenny AC) led the ladies race from start to finish, crossing the line in 1:15:25, securing 1st place and the honour of being the National Half Marathon Champion. Barbara Cleary (Donore Harriers AC) and Barbara Sanchez (Raheny Shamrock AC) battled it out for the silver and bronze medals. In a close finish Barbara Cleary took 2nd place in 1:17:17 with Barbara Sanchez (1:17:27) in 3rd place. In the male team competition, City of Derry secured a well-deserved 2nd place, only beaten by the Sergui Ciobanu led Clonliffe Harriers. Ballymena Runners enjoyed their annual club outing last weekend and as runners do, they managed to fit in a race. Whilst visiting Glasgow the group took part in the ‘Great Scotland Run’ on Sunday 2nd September, an event that attracts thousands of competitors each year. Runners had the option of taking on the 10k course or the Half Marathon, both of which were City Centre based and well supported.With the majority of the group having travelled on Friday 31st August, they spent Saturday (1st September) watching the junior races, cramming in some sightseeing and visiting a popular Italian restaurant as part of the traditional carb loading process, before retiring to their rooms in anticipation of what Sunday would bring. On race day the group made their way to George Square, Glasgow for the start of the event. The 10k run set off first at 09:30hrs and was won by Murray Strain (Hunters Bog Trotters) in 30:57. Colin Bridges, who is on the comeback trail following successive hamstring problems, ran an excellent race, completing the course in 48:25. In the Half Marathon, Team GB Olympian Freya Murray set the runners off at 11:30hrs, again from George Square and the Ballymena club were well represented. The race won by Joseph Birech (Ethiopia) in 1:03:14, while Tom Mills (1:24:12) led the visitors home. This was a strong showing from Tom, indicating that his training for the upcoming Amsterdam Marathon is going well. Jonny Graham and Ben Morrow ran together for much of the race in the hope that Jonny would break the infamous 1:30 finish time. This proved a good tactical decision as both crossed the line in 1:24:54, giving Johnny a new and well-earned personal best. Consistent performer and long serving club member Ray Curran clocked 1:27:29. Ballymena Runners ‘Sunday run’ regulars John Donnelly and Drew Mc Donald who both finished in 1:44:48. Club chairman and Ultra Marathon enthusiast Robin Alexander was surely disappointed at only having the option of a 10k or a Half Marathon when he appears to enjoy the much longer races, but he seized the opportunity to notch up a nice 1:50:58 finish. Next across the line was Peter Fleming, acting as a 1:50 pacer for the Great Scottish Run he completed the task exceptionally well, bringing the group across the line in 1:49:04. Peter Fleming he informed us that it was an excellent event and one that he would recommend visiting, saying that it was well organised with a great atmosphere. On Sunday 2nd September 2012, hundreds of enthusiastic runners descended on Ormeau Park for the ‘Up & Running’ Laganside 10k in Belfast, one of the most popular events on the race calendar. Before the runners set off on the fast, flat course, a minutes silence was held in honour of Northern Ireland distance running legend Moira O’Neill who sadly passed away this week after a long battle with cancer. As the horn sounded, close to 700 participants exited Ormeau Park and swarmed the Embankment, turning right in the direction of the Short Strand before heading towards Oxford Street and then onto Central Station, Maysfield Leisure Centre and from there along the Lagan towpath back towards the Embankment for a two lap course. In what appeared to be a tactical race, with the first 5k being run at a relatively conservative pace it wasn’t until the second lap that cracks began to appear in the lead group. Annadale Striders’ Keith Purdy broke clear of club mate Paul Carroll, increasing the pace he managed to open up a gap far enough to prevent any late surge. Keith entered Ormeau Park just ahead of Paul Carroll, crossing the finish line in 32:54, taking 1st place. Paul Carroll (33:11) held on for a well-deserved 2nd place with the ever consistent Adam Boyd (Unattached) beating North Down’s Francis Marsh (33:27) in a sprint finish to claim 3rd place in 33:24. In the ladies race, the expected battle between Julie Turley and Kerry Harty did not take place as Kerry was forced to pull out due to illness. Dromore AC’s Julie Turley (36:01) took full advantage, leading from the off and taking 1st place with over a minute between her and Irish Olympic Triathlete Alleen Morrison (City of Derry) who finished 2nd in 37:41. North Down AC’s Jessica Craig (38:11) ran a strong race, claiming a well-deserved 3rd place finish ahead of club mate Julie Balmer (38:34). The male team prize went to host club, North Belfast Harriers with the ladies equivalent being awarded to an impressive North Down AC. Full event review available within our ‘Race Review’ section. Photo’s also added to Gallery. North Belfast Harrier’s Breege Connolly travelled to County Mayo for the inaugural ‘Charlestown 10k’ road race on Saturday 1st September. Having enjoyed an extremely successful 2012 so far, Breege took another step towards cementing her place as one of the provinces best female runners by winning the ladies race in 36:03, and claiming second place overall, only beaten by men’s winner, local man David Tiernan (Charlestown) who ran an impressive race to finish in 35:51. Paul Conlon (Elphin) claimed 2nd spot in the men’s race, crossing the line in 36:31 with host club, Mayo AC’s Noel Gibbons (37:09) in 3rd place. With Breege Connolly out in front the ladies battle was for 2nd and 3rd place, Elaine William (Bunninadden) ran 43:28 to take 2nd place with local lady Rita Casey (Charlestown) claiming 3rd place in 45:34. On Saturday 1st September, seventeen mountain runners from various clubs throughout Northern Ireland travelled to Fort William, Scotland for the extremely challenging ‘Ben Nevis’ Mountain Race. A field of nearly five hundred runners gathered at the start line in New Town Park, Fort William awaiting the start of the race. With approximately 4,400 metres of ascending to the summit, the runners needed to put all their hard training to the test. On reaching the summit they would then turn and make their way back down Britain’s highest mountain. The men’s race was won by Scottish runner Finlay Wild (Lochaber AC) in 1:29:56, with Rob Jebb (1:30:53) in 2nd place and Martin Mikkelsen-Barron (1:37:23) in 3rd place. Sharon Taylor (Bingley Harriers) took 1st place in the closely contested ladies race, running 1:59:23 to beat Eilidh Wordlaw (2nd place – 1:59:48), with Amanda Blackhall (3rd place – 2:07:42) taking the final podium place. Leading the Northern Ireland competitor’s home was David Steele (Newcastle AC), who finished in 41st place, running an excellent 1:56:02. Brendan Quail (54th place – 1:58:05), also of Newcastle AC followed, just over two minutes behind his club mate before the first of the Mourne Runners came into sight, this was Roy Donaldson who broke the two hour barrier, crossing the line in 1:59:12 (67th place). Jerome Mc Crickard (Newcastle AC) finished in 2:01:33 (81st place), with David Newell (Mourne Runners) just missing out on a top one hundred place in 2:04:41 (101st place). William Marks, another of the Mourne Runners clocked 2:07:57 (114th place) before Eugene Mc Cann (130th place – 2:10:29) triggered an influx of familiar faces, with PJ Mc Crickard (132nd 2:10:50), Richard Hanna (163rd place – 2:14:25), Brian Mc Burney (193rd place – 2:18:22) and Michael Barton (197th place – 2:18:58) all crossing the line looking tired but happy. Lagan Valley’s Gareth Mc Gimpsey broke up the County Down contingent, finishing in 2:19:32 (202nd) closely followed by David Bell (206th – 2:19:42) who was just ten seconds behind. Northern Ireland mountain running team manager Ricky Cowan was next home in 2:41:20 (346th place), nearly four minutes ahead of Newcastle AC’s Paul Fegan (368th place – 2:45:07). BARF duo Andy Bridge (393rd place- 2:51:04) and David Evan’s (394th place – 2:51:48) completed a strong performance by the Northern Ireland participants. Newcastle AC: 41, David Steele – 1:56:02. 54, Brendan Quail – 1:58:05. 81, Jerome Mc Crickard – 2:01:33. 130, Eugene Mc Cann – 2:10:29. 132, PJ Mc Crickard – 2:10:50. 193, Brian Mc Burney – 2:18:22. 368, Paul Fegan – 2:45:07. London 2012 Paralympic Games Update: NI runners take Gold! Jason Smyth was in action again tonight, in the (T13) 100 metres final. After breaking the Paralympic World Record last night Jason was almost expected to take the gold medal home. That pressure alone would un-nerve even the most confident athlete, not the young Derry man though as he once again destroyed the field, rumping home in another Paralympic World Record time of 10:46. Team mate Michael Mc Killop also smashed a Paralympic World Record en-route to an outstanding victory in the (T37) 800 metres final. Mc Killop went through 400 metres in just over fifty eight seconds and continued his relentless pace to finish well clear of the field in 1:57:22, securing the gold medal. Michael returns to the Olympic Stadium on Monday 3rd September when he will be competing for his second gold medal, this time in the (T37) 1500 metres final.